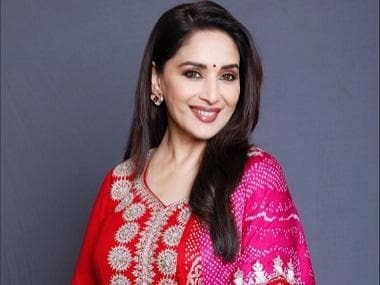 After the release of its trailer, viewers could not help but notice the eerie similarity between Sanjay Leela Bhansali's opulent cinematic world and the world that director Abhishek Varman has tried to conjure up in his pre-Independence romantic drama, Kalank. The soundtrack of the film, too, seems vaguely inspired by Bhansali's sensibilities, with a roster of songs that blend classical music elements with contemporary beats. The music of Kalank is carefully curated to complement the mood, era and the scale that the film has aspired to achieve. It is an unabashed ode to the time that hearkens to the gilded royalty, their buried scandals and their collective celebrations. The most grandiose number from the album 'Ghar More Pardesiya', almost makes one reminisce of 'Mohe Panghat Pe Nandlal' from Mughal-E-Azam, rendered by Lata Mangeshkar. Alia Bhatt and Madhuri Dixit in Kalank song Ghar More Pardesiya. Shreya Ghoshal croons 'Ghar More Pardesiya' in her signature honey-dipped voice. A dazzling orchestra, comprising Niladri Kumar (on sitar), Roopak Naigaonkar (on sarod), Chandan Singh (on savanahatha), Akshay Jadhav (on tabla), Sanjeev Kanitkar (on tabla tarang) and Tapas Roy (on mandolin) ably buttresses the classical rendition. Amitabh Bhattacharya's lyrics are as evocative as they are poetic, and merge effortlessly with Pritam's music. The next track in the album, 'First Class', is a deliberate attempt to not alienate the millennial audience. Bhattacharya's lyrics do much of the heavy-lifting here, while Pritam's energetic music provides the song its backbone. Neeti Mohan and Arijit Singh's lilting voices freewheel through the number, as if to make it stand out as an outdoors song, in a catalogue of songs limited to the court of a haveli (mansion). Unlike the majestic song that we expect it to be, the title track of Kalank is subdued and haunting. The ballad, which finds its roots in Sufi music, is an angsty lover's torn letter, one that remembers the beauty and purity of his beloved. The track oscillates between nostalgia and spirituality — it is a plea to the universe to unite the star-crossed lovers despite all odds. Arijit's soul-stirring voice is almost transcendental, that weaves magic at the crescendo. The duet number, aided by Shilpa Rao, amplifies the emotional quotient of the song by manifold. Shilpa's powerful, raw voice is often indulgent at the bents, which makes the song even poignant. Despite its hard-to-ignore similarity with 'Masha-Allah' from Saawariya, this one is perhaps one of the best tracks in the album. 'Tabah Ho Gaye' probably summarises the overarching theme of Kalank — love and its inherent power to wreak havoc. Much like 'Ghar More Pardesiya', 'Tabah Ho Gaye' is also set inside a court, but the tone is diametrically different. 'Tabah Ho Gaye' celebrates love, but the kind that leaves lovers shattered. Ghoshal flexes her musical muscles yet again, as her voice caresses over the potent lyrics with ease. Bhattacharya's heart-rending poetry is juxtaposed against the comfort of Ghoshal's soothing voice, as if to indicate that there is solace even in pain and loss. Amid all the hefty tracks, the peppering of 'Aira Gaira' comes as a refreshing change. The fun dance number has been sung by Antara Mitra, Javed Ali and Tushar Joshi. It is on the lines of 'Nachne De Saare' from Baar Baar Dekho, or the party anthems of the previous decade, like 'Beedi Jalai Le' and 'Billo Rani', or the much less popular 'Chhabeela' from Saawariya. While Twitterati may have called Karan Johar out for including the 'item song' in Kalank, despite pledging to never use item numbers in his films, the brilliance of the audio track cannot be discounted. Despite the simple lyrics, Pritam's orchestra, which includes instruments ranging from Qawwali Tabla to Bulbul Tarang, renders enough layers and complexities to it. 'Rajvaadi Odhni' is expansive, robust and powerful. Here, Jonita Gandhi's husky voice deftly plays in tandem with the booming background music in a song that is a recipe for a traditional dance number. Idu Khan's alaap on the beats of the dhol adds to it the decades razed off by Gandhi's modern rendition. 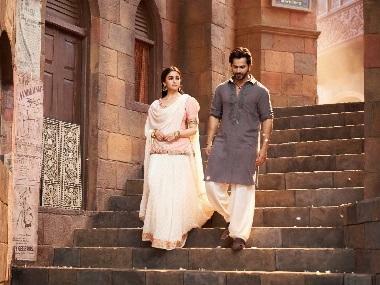 The music of Kalank seems to bolster the large-scale drama that the film promises, to optimum effect. The riveting soundtrack recreates an era gone by with its thorough research and extensive soundscape. But it is not just a faithful regurgitation of the period. While the soundtrack never truly derails from its classical ethos, songs such as as 'Aira Gaira' and 'First Class' anchor it firmly to millennial appeal.